Something feels special about this trip to Romania. Our team is small, so small, in fact, that the trip should have been cancelled. But we were given special permission to move forward and with that permission came a sense of intentionality and purpose. Small, but mighty. After smooth travels we landed in Romania, tired, but full of anticipation. Adi Pop, our host and the overseer of many churches here in Romania, picked us up and took us through a scenic route through the villages and countryside of Romania. 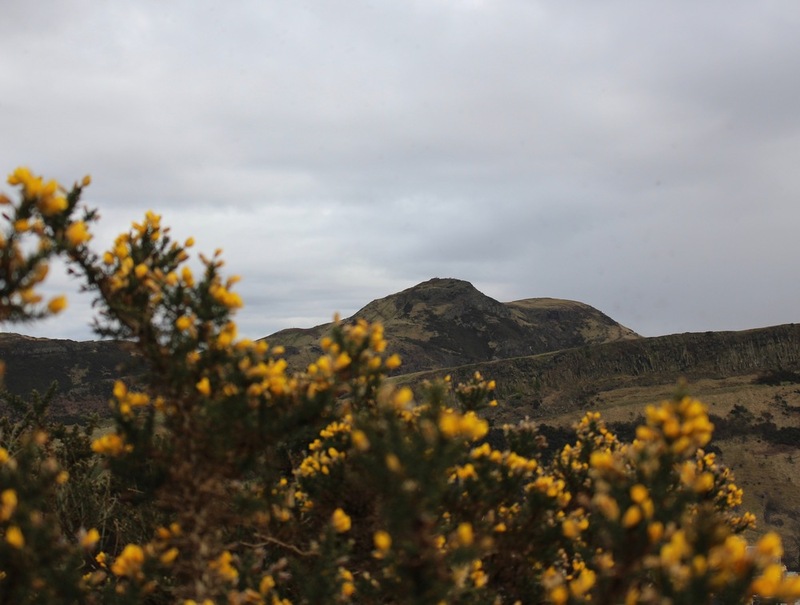 The land was vast and full of rolling hills and winding roads. Farmers had just recently tilled their fields revealing acres of rich, dark soil. The houses we passed ranged from beautifully manicured homes to old wooden farms. We settled in on Friday and then Saturday morning we ventured out to get groceries where we got our first glimpse of gypsies. Two women stood examining the fresh carrots, their clothes vibrant and flowing, bold colored ribbons woven into their braids. Later that evening the girls on our trip joined in a woman night at Adi’s church. We were pleasantly surprised that in Romania, International Women’s Day is a widely celebrated holiday comparable to how we celebrate Mothers Day. Mia, Adi’s wife, is very passionate about empowering women in the church and uses this holiday to embolden women to speak. Sunday morning Erica Roman shared her testimony of God weaving His kindness into her tragedy. There were few dry eyes in the room when she was done. Wednesday we took the morning to rest and then Jennifer Tomczak spoke at Adi’s church. She taught on the Father Heart of God. It was a powerful teaching an a breakthrough night for many. Thursday night we were invited to another home group. Laura Watson had the exciting privilege of teaching a group consisting wholly of brand new believers how to hear God’s voice. Friday, one of the members of the Rehgin church gave us a tour of the instrument factory where he works. It was amazing to see the process of crafting all sorts of stringed instruments. Two of our team members left with an instrument of their own. After the factory the pastors Adi and Levio took us to a beautiful restaurant up in the mountains for dinner. The only thing better than the food was the view. It was great to have some fun before going into our final night of ministry at the Gypsy church in Rehgin. It was a powerful evening that began with a time of blended English and Romanian worship. The night continued with Hunter Phillips, our other team leader teaching on Hope and then we prayed for nearly every person in the church to be filled with the Holy Spirit. So many hearts were touched, so many stories we could tell. One that stood out was when a pregnant woman came forward. The doctors were worried about the baby’s development. When a hand was laid on her belly for prayer the baby immediately kicked hard. The mom jumped in surprise and excitement. It turns out, the worry had been that the baby wasn’t moving enough. So we prayed that the baby would be filled with the Holy Spirit too. After the first week, we are already in awe of what God is doing here. There is so much more to come and we are looking forward to seeing what else God has in store for us as we fall in love with the people of Romania. WEEK 1 | Team England! Saturday we had most of the day off and were able to spent time exploring the heart of the city. At the Great Hall we visited the enchanting garden of Queen Eleanor and saw the Round Table of the legendary King Arthur. Then that night we attended the first of a series of Creatives Nights here at WinVin where Anthea shared an inspiring message on creativity! Sunday was Mothering Sunday! (The UK’s version of Mothers Day). This was a full day as the team split into two groups. The first team stayed at WinVin where Bethany had the opportunity to speak to the youth on physical healing. Not only did many of the kids receive healing, but were able to go into the main church service and pray for healing there! These kids are so bold and courageous! We also ran a morning and evening Prophetic Appointment room (modeled after our Prophetic Ministry at Grace Center). Ann and Abbey were able to prophesy over a young man who we later found out to be the son of the family we prayed for breakthrough over Friday night! There has been a common theme on this trip of divine encounters where the Lord has lead specific people to us, often times not knowing the how or the why, and we are able to share God’s heart for them in what seems to just the right timing in their life. The second team left Winchester to head for Bognor Vineyard in Southsea, England. There, Charis gave a powerful message on Heart of Stone, which is based on Ezekiel 36:26. The reaction to the message was so strong that many people within the congregation came up for ministry. For over an hour, we were able to speak the Lord’s promise of hope and healing and encouraged them to continue pursuing wholeness with the Lord. Then in the evening we were in Portsmouth Vineyard for a service where Netty and Blake lead worship and Melissa shared a message on Soaking. Towards the end of the service, we took time to prophesy and do prayer ministry with the members there. We walked one lady through a forgiveness prayer for a family member who had wronged her 15 years ago and immediately felt the weight she had been holding onto lift off. Not only did her countenance change, but she couldn’t stop expressing how much lighter she felt after we had prayed with her. Monday we spent some much needed free time out in Winchester when Blake, Abbey, and Ann encountered a homeless man. Through this encounter, the Lord spoke very powerfully to our team about why we are here-- to love on all broken hearts, because when we love the least of these we have loved Jesus Himself. In the evening we split into two teams again. On the campus of Winchester University, Blake shared on the Father Heart of God with a student led worship meeting and the rest of the team were able to prophesy over the leadership within that community. In the meantime, the other team attended a regional Pastors’ Dinner and were had the privilege of honoring and encouraging the incredible leadership there. The next day, we all set off for The King’s School where Carolyn taught at an assembly of students ages 11 through 17 on Hearing God’s Voice, then the rest of the team took time after the meeting to prophecy over the incredible Headteacher. The rest of the day we had off, so we did some shopping in a neighboring city, then attended an Evensong service at Winchester Cathedral where we listened to a heavenly boys choir and visited the final resting place of beloved English author Jane Austen (*internal screaming*). Wednesday evening, Blake and Charis gave an extensive message at Level 10 Church on How To Read The Bible, which incorporated teachings from our Year 2 Bible studies. The teaching included 5 steps for reading the Bible. Thursday we split into two teams again. Netty, Anthea, Melissa, Ann, Charis, and Carolyn attended a leaders’ lunch at WinVin where they were able to do prophetic ministry for each of the church staff. After that, they meet up with the rest of the team who had returned to The King’s School. Abbey had the opportunity to share with the students there a groundbreaking teaching on Prophecy, then took the time to give encouraging words to the students along with other members of our team. Then in a smaller classroom with a group of older students, Juliana shared her powerful testimony of Forgiveness. In the evening, we had the privilege of attended Will Law’s Life Group where Ann shared on Father Types, which lead into an open time of prayer ministry. The Lord is doing a powerful work here on the hearts of the English people. This country is rich in religious history, but we believe there is a legacy being built of renewed hearts that have been set free to carry Kingdom revelation that will spread like a wildfire. The best is only yet to come. WEEK 1 | Team Australia! After thirty hours of travel time, we finally got off the plane in Melbourne and hit the ground running. We met our host families, took an hour to get cleaned up, then jumped right into prophetic ministry at a church in Melton. On the way there our host family, the pastors of the church, told me and Molly about how they opened up the sign-up sheets for receiving a prophetic word and within a couple hours every slot was full. Their church is so hungry for more of what we carry. It was an incredible blessing to speak life and destiny into person after person, sharing the Father's heart for them. We only got a small glimpse of their congregation that night, but it was immediately obvious to us that we were surrounded by people that were very familiar with the Holy Spirit and were desperate for more of the Lord. The following morning we met back at the church where Andrew did an incredible job of leading us in worship, accompanied by Matt, Addison, and I. 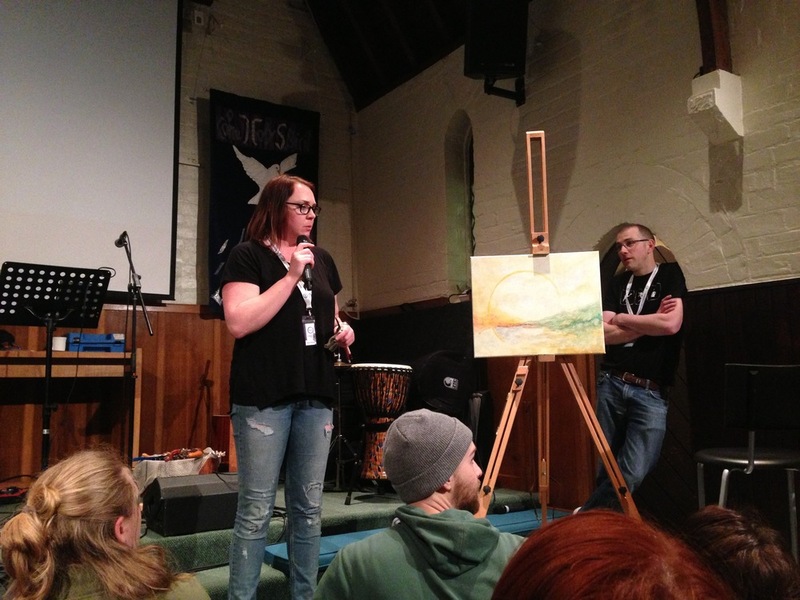 During worship, Barbie and Kasey shared the creative nature of the Holy Spirit with the church by doing some prophetic paintings at the front (both of which turned out beautifully). For the teaching, Molly shared a powerful message about bitter root judgments that perfectly balanced some hard-to-hear truths with the redemptive power of a loving God. She had us back and forth between laughing out loud and sitting in awe of the revelation bombs she dropped with such ease. The congregation was greatly impacted by her message and when it came time for ministry, half the church went forward for prayer. We spent nearly an hour praying and ministering to so many beautiful people, uprooting ungodly beliefs, breaking generational chains and blessing families. When we were finished, the children of the church ran up and gave us little brown packages with pictures they had colored, scripture verses, and chocolate coconut treats they'd made as a thank you gift for our team. All in all, our first full day in Australia was a total success! The kindness of everyone we've encountered has been so humbling, and at times having the privilege of serving such an amazing group of people feels more like a blessing for us than it is to the church. Even though our focus is on pouring out everything we've learned this year, the Lord is so good that he's pouring right back into us! We have a few more days here in Melton before we move on to the next city and we have some very exciting things planned. Thank you for all of your prayers and support! God is going to continue to move in the hearts of our team and everyone we encounter. Australia here we come! WEEK 1 | Team Scotland! Fit Like! (A Scottish greeting that we will most definitely be bringing back to Nashville). After 39 hours of travel, we made it to our first destination - Aberdeen, Scotland - late in the night of the 9th. It was a lot of traveling, but with a combination of coffee and Holy Spirit, we made it! We were greeted at the train station by our amazing hosts, the leaders of Sheddocksley Baptist Church, where we have had the privilege to serve at this week. Our first day of ministry was on Sunday the 10th. A couple of us had the opportunity to help in the children’s ministry and got to pray and prophecy over all of the kids in the group. Another small group of us sang hymnals at an elderly home, and also got to share a teaching and a testimony. The rest of the group was at the church that we are guests at, and Richard got the opportunity to teach on honor and Bethany shared a testimony with the congregation. On Sunday night, we got to be a part of a creativity night at the church, and Morgan shared a teaching on creativity while others had some personal ministry appointments to listen and love on those that wanted ministry. After Morgan’s teaching, the rest of the night was spent having fun being creative! One young woman was especially touched by a prophetic word she had received in the morning service and she made a drawing of the word to remind her of it, and it was so incredible to hear how transforming the day had been for her and how touched by the Father she felt. Our week began with starting to set up “prayer spaces” in both a local high school in Aberdeen and the church, where students got to explore different zones (“letting go” zone, happy memories zone, “God’s good words” (prophetic) zone, prayer zone, identity zone, etc.) that make space for experiencing the Father’s love. We all had a blast being creative and coming up with different ways to make the space fun for the students. While part of the group was setting up, another group was getting to help with the “Little Fishes” group that the church hosts, which is a group of Non-Christian mothers and their toddlers. They got the opportunity to lead them through a couple of children’s Sunday school songs, and also got to pray and prophecy over several of the mothers and their kids. Tuesday was the first day of hosting the prayer space at the middle/high school (secondary school, as they call it) and it was absolutely incredibly seeing the Lord love these kids through the prophetic words we shared with them at the “God’s good words” zone. Another zone that was really impactful for the kids was the letting go of fears, and replacing them with who God is - “El Roi”, “Elohim”, “Yahweh-Nissi”. It was amazing to see kids who were not Christians encounter the love of Jesus and be totally different by the time they left the prayer space. While some of us were at the school, another group of us got to lead a staff devotion at Sheddocksley Church where Allison shared a message and we got to bless the church staff with worship and prophetic words. That night we had a blast hosting the young adults of the church for a taco night at our house and blessing them! The following day some of us were at the school again for the prayer space, once again getting wrecked by the amazing love that the Father was pouring out on these kids, while another group was helping with the first day of prayer space at the church. The classes that came through the prayer space at the church were younger, and they were super impacted by the identity station, where they got to pick out positive words about themselves and we also got to add words that the Lord was saying about them. We fell in love with all the adorable little kids with the cutest Scottish accents, and so many of them were excited to have made grown-up, American friends! That night we hosted a healing night at the church, where Madison shared a message on healing and we saw the Lord heal people! Level 10 pains being completely rid of! On Thursday morning we got to go into downtown and see the beach, and all of us got to try a full Scottish breakfast. (Haggis and black pudding! Don’t ask what’s in them!). Later, a group of us got to lead a school assembly at the same school that we had the prayer space at, and Michelle shared the gospel and the team prophecied over several students and two of the teachers. The power of God’s truth was so present, and a lot of the kids were hearing the gospel for the first time! Friday was jam-packed with personal ministry appointments at the church, and the Lord showed up with so much freedom and encouragement. We can’t wait for what’s next! Getting to serve the wonderful people we are meeting here in Scotland has been amazing, and watching God move in everyone’s lives has been absolutely incredible to watch! WEEK 1 | Hello from South Africa! We landed in Johannesburg on Friday after a fifteen-hour-long flight straight from Atlanta. We spent the night in the beautiful aviator hotel before boarding a short flight to Nelspruit the next morning. As we drove through the South African countryside for the first time on our way to Michael’s Children’s village, we looked out at the lush green landscape and the new and beautiful animals. It began to sink in: we were actually here. At Michael’s Children’s village, we were met by Comella and Teisa two missionaries stationed at Michael’s Children’s village, and they gave us a history of the place and showed us where we would be living. We also had our first encounters with the beautiful children who call MCV their home, as we introduced ourselves to them jumped on trampolines with them and held them in our arms. That night, we all stood outside in awe as we watched our first of many South African sunsets. Since then, our days have been varied and action-packed. We’ve spent quite a bit of time with our family at Iris Harvest church in Nelspruit, which is led by Pastor Surprise Sithole and his wife, Tryphina. We went to a church service there on our second day in South Africa and we have had the opportunity to lay our hands on the congregants there, prophesy over them, share in corporate prayer and worship, and receive from them as well. It’s a beautiful thing to realize that our church family roots stretch so deeply and across so many continents. We have also attended church and done door to door ministry in a small town called Backdoor where Pastors Surprise and Tryphina also started a church several years ago. The community was once so violence and drug-ridden that it was a “no-go zone” even for police! It has been completely transformed thanks to the persistence and prayer of dedicated pastors and the supernatural power of God. This Thursday, our whole team went to backdoor and ministered door-to-door. We saw a witch doctor give her life to Jesus for the first time, saw several physical healings and even saw a lady get delivered from demonic fear and anxiety. It was a beautiful day of seeing the Lord minister in love and kindness to a community that is in a beautiful transformational process. We were also blessed to be here the same week as the annual Gutshwa revival, a week-long celebration with consecutive nights of worship, teaching, and prayer. Our team has happened to be here during the revival for the past three years, and they were so so excited to have us with them. Pastor Surprise spoke on the first day of the revival and blessed the congregation, which he had helped to plant. On Wednesday, Lisa taught on forgiveness, and several people came up for an altar call, and they made a decision to let go of bitterness and judgment and enter into the freedom of forgiveness. On Thursday, Ellen, Ryan, and Worth taught, prophesied, and sang over the church, even though they hadn’t been told before that they would be called upon to speak! The Holy Spirit moved powerfully at the revival and He was faithful to fill their mouths with exactly what the people needed to hear. On Tuesday, our team went with Tonya, Sylwia, Natalie, and Noni to minister with Dignity Ministries. With them, we went into brothels in downtown Nelspruit and spent time blessing the women there, many who were only teenagers. We had lots of favor there, with several girls seeking us out and asking us to come and pray for them and sing with them. We saw deliverance, joy, and kingdom goodness in the middle of one of the darkest places any of us had ever seen. We were also able to spend time with some of the men who were loitering near the brothels, sharing the father heart of God with them and seeing several healings and salvations. Our team has also gotten the honor of ministering with Comella at the local public hospital, going room to room praying for the sick and the mentally ill. We’ve seen the presence of God meet us and encounter dozens of patients, bringing grown men to tears in a culture where emotion is very rarely displayed. The Holy Spirit has also been very faithful to lead us to the wards where we should go and we’ve had incredible favor with the nurses at the hospital, who let us into rooms long after visiting hours are over and often have asked us to come and minister to particular patients. Back at Michael’s Children Village, we’re loving our time with the missionaries and mamas and children on the base. We’ve spent several mornings babysitting the youngest ones while their regular caretakers take breaks and go to meetings. We’ve had beautiful times of worship together in the communal hut in the middle of the base. We’ve had long conversations around the dinner table about the Lord and our own stories and everything under the sun. We’ve killed many ants and run screaming from many lizards. We‘ve dried our laundry outside. We’ve tried lots of new foods. We wake up to the sounds of children laughing and singing. We love it here. Praise God! WEEK 1 | Greetings from Team Nova Scotia! It’s been an incredible first week in the gorgeous country of Nova Scotia (its name means “New Scotland” and it’s located on the Atlantic coast of Canada). Our trip has been full of adventures so far, from hosting a “Spirit Cafe” for the community to evangelizing in local coffee shops and malls, to exploring the breath-taking coastal views. We’ve encountered unparalleled favor with our hosts Bill and Rosette Legge, whom we considered our second parents within five minutes of meeting them (they are the parents of Judah and Bethany Legge, who are also on SOSL trips to South Africa and Scotland). We’ve also found favor in the local community, specifically in the area of food. Much to our delight, we’ve been blessed with delicious double dinners daily! Our serving here has been incredibly fulfilling and fruitful, most recently through the Spirit Cafe where we offered the local community a menu of Spiritual Readings, Prophetic Peace Treatments, Physical Healings, and Spiritual Cleanses. We were surprised by the number of people who came out and by the wide diversity of their spiritual backgrounds and beliefs. In fact, so many people came that a few had to be put on the waitlist for our next Spirit Cafe night- word spreads quickly in this quaint community! We also had the unique opportunity to attend the grand opening the “Hope Project,” a faith-based residential home that provides therapy to women suffering from addictions. The anointing on this ministry has already captured the attention of newspapers and news channels, so we know God’s got great things in store for them. We felt so honored to be there watching it unfold! We’d also appreciate your prayers- this weekend we will be hosting an inner healing conference that is a variation of an “Encounter Weekend.” We so desperately want them to encounter the Father Heart of God during this time! Stay tuned for more updates! Don’t forget to follow our adventures through our hashtag #JehovahNovaScotia! Outreach has been off to an incredible start. It’s amazing to see all that God is doing in this city, our city. Thursday, we kicked off by connecting with one another as a community at Adam and Anna’s house for lunch and worship. We were then honored to go serve and share a meal with the friendliest people at The Foundry. They have been so kind and welcoming to us. One of our team, Kati, preached an incredible message on 'Hope' that opened up the room for ministry time and people were healed. Adam got a word of knowledge about healing and one kind soul got heart healing, quite literally and figuratively. He began to tell us his testimony of how God has been after him and meeting him in the greatest ways. His chest/heart pain went from a 7 to nothing after we got to pray with him! HOW INCREDIBLE!!! On Friday things just kept getting better. We got to meet up with Papa Joe at Elijah’s Heart and listened to his heart and testimony. Then we watched a movie based on his life, extremely touching. If you haven’t seen Unconditional yet, go watch it now! It was such a joy and treasure seeing Papa Joe and his team come alive when he started telling us about the community we were serving. We prepared for Saturday and then headed out and connected together as a team. Saturday, was a treat. We got to meet even more of the Elijah’s Heart team and some volunteers. We spent the morning putting together bags of food and snacks and then got to go out into the JC Napier community and hand them out. There was so much food! We packed over 400 lunches and bags of snacks! It was quite the experience. It was funny because Saturday called for rain, but the rain got pushed back until Sunday. What a warm treat for everyone for sure. In the middle of all of it we gathered around to pray at one point and the team leaders’ two-year-old excitedly exclaimed, “Look it’s our family!” and that blessed each of us because it gave us vision to see that we weren’t here to just serve a community and that’s it. We are here because we are serving family being in community with family. After a filling lunch at Gabby’s Burgers, we returned to the Walton Cottage and debriefed about the day and our experiences thus far. It created a great atmosphere for us as a team to bond, connect, and get really vulnerable with each other. We got to talk about the revelation of a two-year-old and how she was able to catch something about this trip that I think will continue to shape and impact the trip, this city, and each of us way beyond April 1. The final week of #Nashfilled2017 turned out to be the fullest week yet. With time spent ministering at One Stone Nashville, doing supernatural evangelism with the Foundry, and wrapping up loose ends (literally!) with some jewelry making and Walk of Love prep with Papa Joe, this week kept team Nashville busy, full, and having fun! Supernatural evangelism with the Foundry was an exercise in spontaneity and joy. Team Nashville split into groups with our Foundry friends to sing prophetic songs over people, do prophetic watercolor and face paint, go on treasure hunts, and encourage people on the street! We heard some really cool testimonies of God’s goodness, and of our own growth in stepping out and being bold in speaking (or singing!) what we heard the Lord say. Our time with One Stone on Sunday morning was incredibly fulfilling, as we had the chance to prophesy over nearly their entire staff of volunteers, as well as over folks in the church during both morning services! Many people were super blessed by our words, and we received a ton of feedback and testimonies of how “on point” pretty much all of the words of encouragement were! We also had the chance to do a teaching on the prophetic on our final night- which Juliana led- followed by activations that gave One Stone members a chance to practice hearing God’s voice for each other in a safe learning setting! Our last few days with Papa Joe were spent learning about another aspect of Elijah’s Heart ministries and helping out with some prep work for ongoing activities. We got to help prepare for a jewelry-making element that they are building into the ministry to teach some work skills to those they serve! Overall, team Nashville had a blast these three weeks learning to grow in boldness in speaking God’s heart, walk in relationship with our brothers and sisters in Nashville, and do our part to transform our beautiful city by being ourselves and loving well, and being willing servants. And that’s a wrap for #Nashfilled2017. We’ll see ya next year! What an awesome second half of the week - the theme seems to have been food! A chilly Thursday began with a meal at the Foundry for local leaders where we had the privilege of meeting others with a heart for our city and hearing some of the things they had been doing. Our kind team leaders had prepared chili for us to chill out together in the afternoon, and the evening was spent with the Foundry at the Meal of Hope for the second time. Jesse spoke about the purpose of prophecy and we were able to minister to people by giving words of encouragement. The Lord showed up with the bread of life and several people gave their lives to the Lord after tasting and seeing that he is good! Afterward we ‘sealed the night’ with the Foundry team, made a fire tunnel and had a spontaneous time of worship! Friday began with preparing for Queen’s Night - transforming the community center into a banqueting room fit for a queen. What fun to be creative with glitter and voile! It was beautiful later to see the women presented with a rose, escorted to their seats, served food and honored for their leadership. We teamed up to give encouraging words to each of them and they were showered with gifts to take home. We helped clear the room but the Elijah’s Heart team took everything back to their base and set up for the Walk of Love before we arrived the next morning! They are truly tireless selfless lovers of God and others! Saturday morning dawned cool but sunny – perfect weather for the Walk of Love. While Papa Joe organizing the team like a wise general, the bagging up of food for the Walk of Love looked like a production line, powered by Christian songs with a great rhythm! 400 bags later we were on our way - knocking doors with the cry “Free snacks, Walk of Love team!” It was such a joy to bless the community. There was even candy for the children! Monday and Wednesday we were with Papa Joe for a series of book fairs, where books are given to children of all ages (good reading is the foundation for all learning). It was a joy to see children picking out books that would be their very own. On Tuesday we met with the leadership team at One Stone to find out about their vision and history. We had the opportunity to prophesy over their staff and finished with a spontaneous time of worship in their sanctuary. Team Nashville also took a hike round Radnor Lake, ate good food together, and chilled with popsicles – where a photo opportunity became a naturally supernatural opportunity as we traded prophetic words for someone taking a group photo for us! We're two weeks through our outreach already and team Romania is doing great! Last Tuesday, we visited a local Life group from our first church in Targu-Mures. Marion and Krisstina were our wonderful hosts! They cooked us a feast of ribs, chicken, pork, eggplant, and tons of classic Romanian dishes. Our hearts and stomachs were filled as we then had the opportunity to minister to about 15+ people. We prophesied over everyone in the room and followed it with Adam leading worship and Tim bringing a healing message on soaking in the presence. We saw many hearings that night and ended with Tiphani singing over the people as they soaked. Wednesday the 15th we did some sight-seeing in the city! We tried incredible doughnuts and cappuccinos as well as listened to our host Adi while he gave us the background history of the city and how communism affected it. Later that night, Dabney spoke to a women's home group about passing the baton and Tiphani spoke to the worship team on worship and creativity! Thursday, our team went on an adventure to a walled in city. We visited a museum that had artifacts dating back to about 1200 BC. Thursday night the 16th, Bethany Legge brought an incredible message on the prophetic. On Friday Morning, a small group of us visited a couples ministry headquarters and prayed for them. They work with orphans, giving them life skills and teaching them about value. Later on that night, Tiphani and a team led worship and Neil preached on healing at the youth group. We saw people healed of back pain as well as prophesied over a good number of the kids there. We played games with them, had dinner, and quickly learned that Romanians LOVE putting corn on their pizza. Saturday our team was blessed with a feast by our hosts Adi and Mia! They fed us SO much classic Romanian food. We tried pork fat that had been salt cured for a month. Many of us could only have about a tiny bite because it was so salty. That evening, the guys on our team went to a Romanian soccer game and did some supernatural evangelism while the women on our team ministered at a women's night. Dabney spoke about spiritual parenting and how we need to receive as well as pour out. 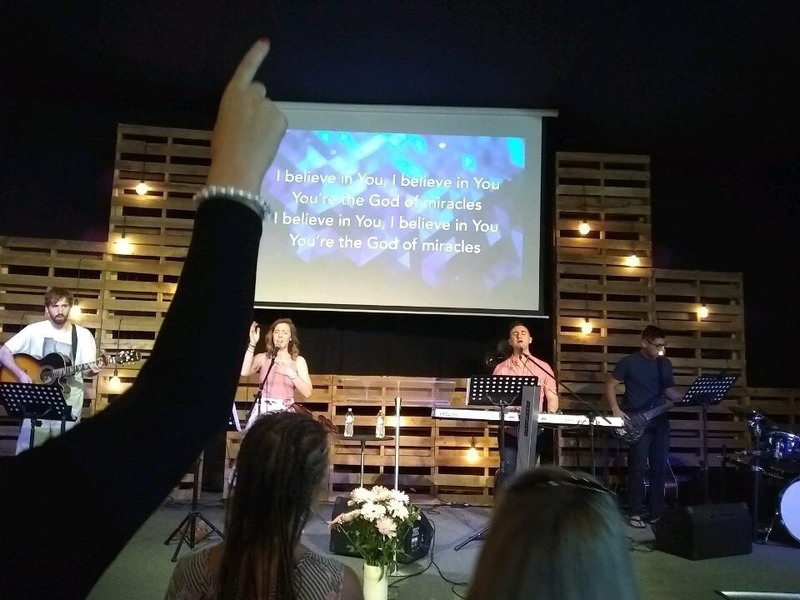 On Sunday our team went to a new church called Grace Church in Reghin, Romania. Adam spoke on the Father heart of God in the morning and we listed to the Romanian worship team as they led with some of their cultures musical aspects. It was such a treat! Later that night, Tiphani led worship and Hunter spoke on the prophetic. We quickly realized that this church had completely different dynamics than the first church we were at. This church is full of gypsies and we've had so much fun connecting with them! Monday the 20th, Neil spoke on healing to Grace Church and we saw everyone healed! Back pain, knee pain, headaches, eyesight, and hearing have all been healed! We are so blown away by everyone's hunger in this church to receive healing physically and spiritually. On Tuesday our team went to Grace Church for a prayer meeting. We came together with the church to pray for breakthrough in their city. We ended the night by praying over families and for healing. On Wednesday our team had the day off! We walked around the town and some of us went to the zoo! We also caught up on some much-needed rest. On Thursday we passed out invitations to people in downtown Reghin to come to a salvation and healing meeting on Friday! We saw a couple people healed and saved while we were out! Thursday night, Tim spoke on hearing Gods voice and the team prophesied and prayed afterward. Our team would love prayer for health and divine appointments! Hello, again! We are having a blast partnering with the church to give away all that’s been given to us. Our leaders, Faith and Tetra, reminded the team that Grace Center has been called an “apostolic resource center” and that we get to be a part of living out that call by equipping Covenant Life with the resources to hear God’s voice, minister in the prophetic, receive inner healing, and live an abundant healed life! In addition to kicking off a supernatural evangelism youth event last weekend, we teamed up with the church’s inner-city ministry, Jeremiah Junction, and talked on hearing God’s voice to elementary to college-aged men and women. After learning to hear God’s voice, one of the teenagers saw a picture of God holding a little girl. 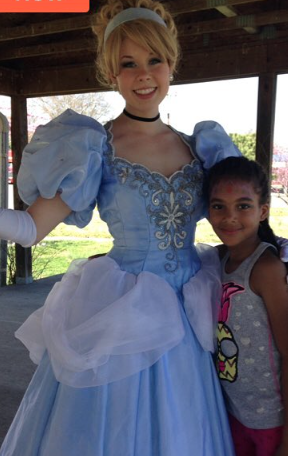 It took her a moment before she realized that that little girl was her! My highlight was getting to look into a young woman’s eyes and speak worth into her soul. “We've been getting word back from church members for how they've quickly seen breakthrough after our team prayed for them! Last Sunday our team prayed for one of the Staff members of Covenant Life, Crystal, and we prayed for healing in her back, and for favor her home and car that she and her husband have been struggling to sell for a long time. The following Tuesday, we saw Crystal and she informed us that she'd gotten her first bids on both her house and car AND that her back hadn't been hurting since we prayed for her!! So exciting! Jake Boyce, year 1, and Charlotte Largen, year 2, prayed for a man named Shawn. Shawn asked for prayer for his son, Cameron, who was sick at home. When Shawn and his wife got home, the babysitter told them that their son randomly got up, ready to play around the same time that Jake and Charlotte prayed for him! These are just some of the many many testimonies that are coming back to us! We also have been ministering to the staff on topics ranging from forgiveness to inner healing. The staff has set such an example of humility for the rest of the church! 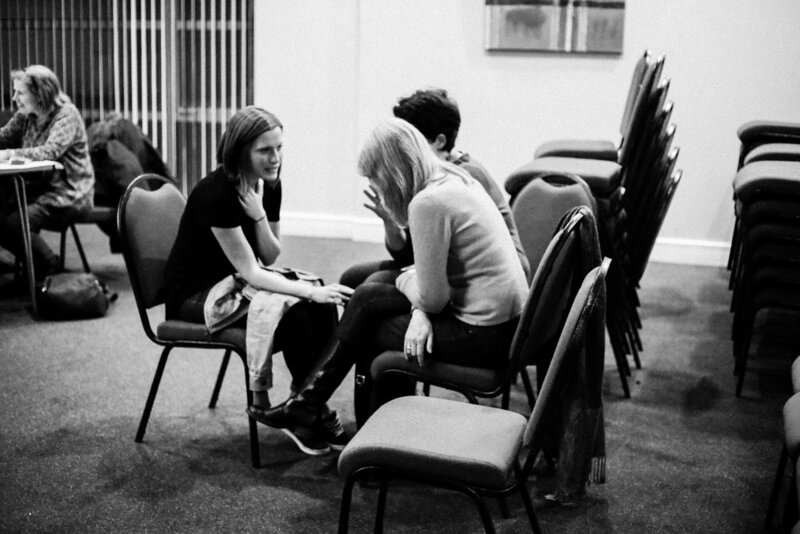 We set up chairs where each staff member was invited to release shame or guilt from the past. We call this “walking in the light”. “One of The most impactful moments for me so far has been sitting on the other side of the "walking in the light" chair. I'm reminded of that verse where Jesus asked the question which is easier, to tell someone their sins are forgiven or to tell them to take up they're mat and walk. Getting to partner with King Jesus and look someone in the eye and tell them that their sins are forgiven is beyond humbling but it's also one of the most exciting parts of our journey because we get to see people walk away in freedom. 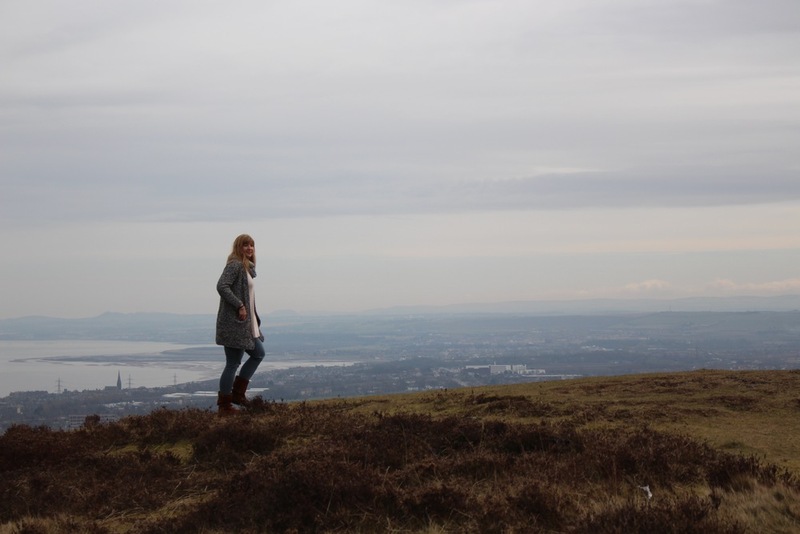 That shifted my perspective in realizing just how powerful the cross is because I'm reminded of my own journey towards freedom and the kindness of God to walk with me in the process” (Charlotte Largen, year 2). Mateo gave a live-demo for the staff on how to give a prophetic word, prophesying and teaching at the same time. We are being stretched in new ways as the church staff is eager for God to invade their lives and equip them as leaders to carry out a new move of God! Jake prophesied over a young man at Jeremiah Junction, named Shamar. Later that night, the Lord repeated the prophecy Jake gave to Shamar in a dream! The Lord told Shamar He was set apart and anointed. God is clearly at work! We are hosting an Encounter Weekend for over 120 people this weekend, so keep us in your prayers. One hundred and twenty lives are about to be transformed from the inside out! Week 2 started off with a lot of action and a lot of words! A major theme for the week has been prophecy, as we started out the week running into one of our new friends from the Foundry and giving him a prophetic word! From there, we have had the opportunity to minister to a number of Elijah’s Heart’s leaders and support staff, giving them some encouraging and strengthening words we felt we heard from God’s heart. We also met and encouraged some of the folks who have been working with Elijah’s Heart for years- some of them long enough to truly be a part of the family that they’ve formed through their ministry. On the practical side of things, we had the honor of handing out invitations to Queen’s Night, a night to honor the women who have stepped up as leaders in the Napier community. Team Nashville also got to spend some time under the tutelage of Papa Joe, learning about some of the ways that God directs their ministry, and finishing some prep work for Kids Love 2 Read, an event which will take place next week! Lastly, one of the highlights of the week so far came on Monday night, when we got to help Papa Joe and his family out with the children’s choir at Harvest Hands. This is an awesome community development center located right in the neighborhood we are serving, and we had a blast singing with the kids! We are looking forward to spending some more time with the Foundry later this week, and serving at Queen’s Night and Walk of Love this weekend! Hello from South Africa!! Since our feet touched the ground we have been going all out and loving every minute. The staff at Michael’s Children’s Village (MCV) are so welcoming and accommodating. We all feel like one big family. We arrived at MCV on Saturday, March 11th and were greeted with open arms and delicious pizza for dinner. Sunday morning we went to Backdoor Church which is the local all-black church. Pastor Surprise gave the sermon and there was lots of dancing and singing to the Lord. Later in the afternoon, we went to the Iris church in Nelspruit. This is a predominately white church and the service is a little different from Backdoor. The first place we ministered was Themba Hospital. Themba means hope in Siswati, which is their native language. Comella has been going there every week for over a year to pray for the patients on Ward 7, which is typically women who have had some abuse or trauma in their lives. We were able to pray with several women who were not very responsive at first but after prayer and interaction with us we saw Jesus heal pain, and several gave their life to Jesus. The difference in their countenance was like night and day. 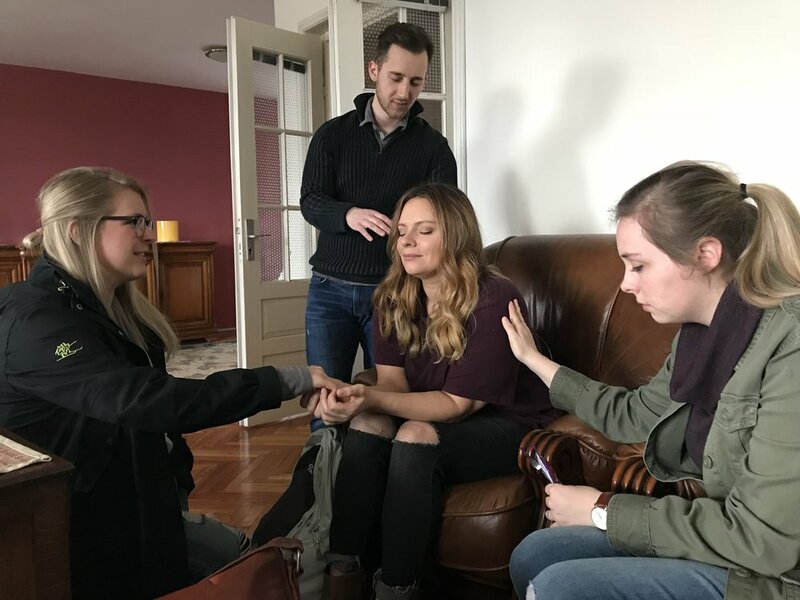 One young girl was going to go to a witch doctor after she got out of the hospital, but after receiving Jesus she decided to go Backdoor church instead. On our way out of the hospital, we encountered a nurse who knew Comella. She asked us to pray for a man who was with her, suffering from leprosy. We have so many more great stories like this continued that day. We have been able to go back two more times and some of the same women were there and so glad to see us. We also visited the men’s ward, the babies, and the children. We have also had the privilege of working with Dignity Ministry in Nelspruit. It was founded about 5 years ago and they minister to girls on the street and go into the brothels to minister to the girls and just let them know that they are loved. Katherine, who works for Dignity, knows a lot of the girls and will let her into their rooms to pray for them. We had a powerful prayer group in the first place and one of the girls got deliverance.The second place the girls took us up to one of their rooms where we sang, they sang, and we all prayed for them and reminded them that Jesus loves them and is with them whenever they need Him. One day we drove to Ngodwana which is about an hour away. We were working with Katherine and Dignity Ministry. This started as a truck stop that grew into a brothel for girls to service the truck drivers. Eventually, a little town developed. One of the girls came back with Katherine and gave her life to Jesus. When she returned she was so different the others wanted what she had. She now works for Dignity and a church has been established in the little town. We went for a short service and then did the home visits to pray for the people. Everyone is so friendly and open to receiving Jesus and the love He pours onto them. They were waiting for us to arrive and waved goodbye to us as we left. We visited the preschool children at Hope Village. From there we divided up into two groups and went with local pastors to do home visits in the Backdoor area. That day we saw a swelling on the back of the neck the size of a large grapefruit shrink to the size of a small orange, also a leg swollen with an open sore, shrink so that we could see the ankle bones. So many people accepting Jesus and seeing the change in them immediately. We have spent several nights at the church in Gutjwa pastored by Pastor Norbert and his wife Pastor Rose. They started the church 2 years ago in an area that has a lot of witchcraft. This was their 2nd Anniversary and held revival meetings Wed., Thurs., Fri., and Sat., and ended with a church service on Sunday that included praise singing and dancing, worship music, guest speaker, and sermon. Lots of activity and celebrating followed by lunch. On Saturday afternoon, we did some home visits in the area. We had 3 teams go out with interpreters. There were many stories of healing, deliverance, and coming to Jesus. It was a very hot day but so rewarding knowing that peoples lives were changed. Greetings from Iceland, where the weather was been surprisingly warm! We are staying in a cozy apartment in the center of Reykjavik, hosted by Baldur and Barbara Fjeldsted of Catch the Fire Ministries. Our team spent the first part of the week becoming familiar with the heartbeat of this city. We've spent time on the streets and in the small shops around our home, building connection with the people around us - treating this whole city like family. When we arrived at Catch the Fire on Sunday, we had the privilege of hosting a time of prophetic ministry with a team from a ministry school based in Bergen, Norway. They've had much of the same training that our students have gone through; we connected quickly and thoroughly enjoyed praying and ministering together. We met up with their team once more at United Church here in Reykjavik, where we heard testimonies from their time here, and had an incredible night of worship and ministry. Keith Wheeler was there for the meeting, and shared stories of his time ministering in the East. During the service, the presence of God was tangible in the room - and we saw physical healing, and powerful restoration of relationship with Father God. One of the things we've all been amazed by is how easy it is to minister in this nation - the hearts of these people are open and eager for more of God! They're hungry for His presence, and as a result, when they gather together - He comes. It's amazing to be a part of a culture that so literally "thirsts for the living God." This week, we led a women's home group at our apartment, and spent time connecting over good food and great coffee. I shared my story and what I've learned about the incredible value of our hearts, and how to let God heal them. The guys went to spend time with the men's group from the church, but were surprised to have Steve Long open the door when they arrived. Steve has been here a few days this week, giving direction and encouragement to the church. He and Baldur had our team prophesy over the leaders in the congregation, specifically speaking into their spiritual giftings, so they can serve well where they've been planted. The key word for our time here is Family. Within our team, within the church, and with everyone we meet - we're cultivating a sense of belonging, and of being at Home. The number of believers in the city is very small, despite it being officially titled a Christian nation, but as the news of this whole and connected Family spreads, eyes are being opened to the love shared in Papa God's house. We're honored to be here, and look forward to whatever is in store for the rest of our trip. Thank you for your prayers over our team! Hello from Chickamauga, Georgia! We are having a blast just being God’s kids and giving away what God’s given to us with a precious church just outside of Chattanooga. The people of Covenant Life Worship Center have welcomed us with open arms and hungry hearts! We are undone by their kindness, generosity, and eagerness for God to move in their city. Can Ministry be THIS Good? As a team, we keep pinching ourselves because it is hard to believe that ministry could be THIS wonderful! I’m laughing at how much God has turned our paradigm for doing “the Lord’s work” upside down. We are finding that His yoke is easy and His burden is light-- that where there are hungry hearts and a hungry God who is zealous for His people to encounter His love, His love is poured out. Their hunger seems to pull everything that’s been deposited in us these past few months right out of us! Meanwhile, we are so well taken care of with warm beds, good food, and times of rest. Yes, ministry really is THIS wonderful. My favorite part was watching the lightbulb turn on for each teenager that God really does speak to them! For many of them, it was the first time they ever heard God speak to them about someone else! “We’ve had many opportunities thus far to do just that and it's been radical to see people completely undone by the love of the Father” (Kristen Beloate). Charlotte Largen (Year 2) taught a fantastic message on Supernatural Evangelism before we took the kids out on a prophetic treasure hunt at the mall, sharing her stories of cultivating boldness and stepping out in faith. I loved hearing the youth share their testimonies of hearing God’s voice, stepping out in boldness, and sharing God’s heart with total strangers at the mall! Stay tuned, because we have more updates coming! We are so excited to keep you posted! What an incredible time we've had so far! Team Romania has received so many words about family on this trip and that is what has been our experience so far. We left last Thursday (March 9th) and have been on a journey of upgrades and surprises. The plane we were going to board from Dullas Airport that would take us to Munich, Germany was delayed because of some mechanical issues. So we boarded a couple hours later but missed our flight from Munich to Cluj, Romania. To our pleasant surprise, we were able to stay in Munich for a day and stay the night! We were given food, transportation and our own individual hotel rooms completely free of charge while we awaited our plane to Cluj. 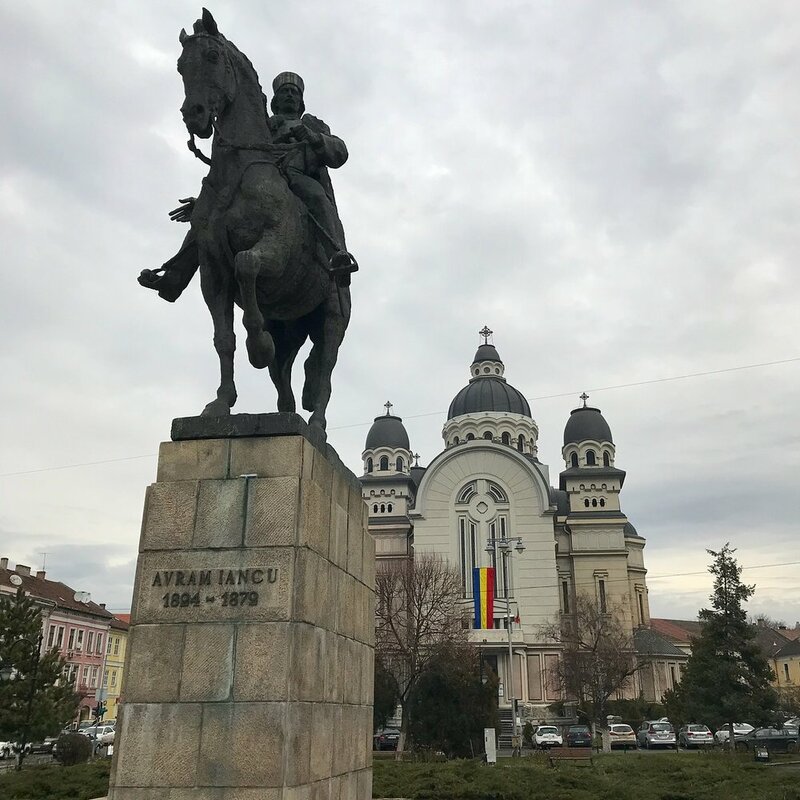 We drove about two hours from Cluj and finally made it to Targu-Mures, Romania on Saturday (March 11th) where another well-received upgrade awaited us! We were freely upgraded to automatic cars (PRAISE HIM) that were larger than the cars we had originally been planning on renting for our time here. This has given our team so much more space as well as aided us with adjusting to the new driving patterns of Targu-Mures. We were blown away by the space we have in our guest house here! We are blessed to have room for meeting as a group, spread out space for our introverts, as well as a kitchen we can make our meals in. Our hosts here have been the kindest and most loving people we could have asked for. They have taken measures to make sure we are comfortable and have been helping us with the adjustment to culture. We have found that our hosts (Audi and Mia Pop) are family to us. We may live across the world but our hearts all sync with Father God in the same way. So far, we have been to three services and have seen people encountering the Lord in incredible ways. On Sunday morning, Adam spoke on the Father Heart of God. It opened up our time with our new friends as one of healing and new perspective. Our team spoke some prophetic words over individuals as well as the congregation. People's hearts and spirits were touched by a loving Father. Sunday night, Charis brought an amazing message on forgiveness. Her testimony and vulnerability opened up a place of safety for people to ask for prayer over specific areas of their life. We saw some breakthroughs for people as we had the opportunity to walk them through forgiveness of themselves and others. Monday night, Tiphani led the room in worship opening up a place for people to connect to the Spirit. After worship, Bethany Barkley shared a powerful message on having a heart of stone. The revelation she had to share led people to be open and bringing their hearts to Father God to heal. Her boldness sparked a mindset on new truth of guarding your heart versus having a wall around your heart. After our Monday night church service, Adam and Neil led someone to the Lord in the parking lot! They started by asking if the boy had pain in his knee, which he did not. BUT Adam and Neil said "that's fine! Would you like to know things about your future?" They gave him a prophetic word and the boy was BLOWN AWAY! They told him it was because of Jesus and then led him to the Lord. They invited him to a service at the youth group we will be ministering at and are hopeful about seeing him there. We are all SO very thankful for your prayers and your support. We are having so much fun learning, growing, and pouring out everything we have been freely given! Tune in again for more updates! Week 1, Nashville Outreach 2017 started as spring and ended as winter! We’ve had an awesome time so far as a team, learning some of the history of what God has been doing in different parts of the city - and getting our hands a bit dirty in the process! This year, our team is working with Elijah’s Heart Ministries, The Foundry, and One Stone Nashville. For our first few days, we had the opportunity to serve Elijah’s Heart and The Foundry -- both inner-city ministries that God planted through some amazing, willing hands in Papa Joe Bradford and Scott & Sarah MacLeod. On Thursday and Friday, we met with Papa Joe and his Elijah's Heart team to begin serving by learning -- hearing the heart of their ministry to the inner-city and the poor. We also got to lend our hands to begin organizing supplies in preparation for some big community events they are putting on -- The Walk of Love, a monthly food distribution walk, and Kids Love 2 Read, their education and literacy program. We learned that Elijah's Heart is a ministry to easily the neediest neighborhood in Nashville, and indeed in the country. Papa Joe shared with us its history -- how God placed them there supernaturally through an incredible series of circumstances and grants. We also learned how Papa Joe got his name, as a needed father in the community! Elijah’s Heart is an incredible blessing to the community in Napier and we are so excited to invest more in their needs and into the community. Later, we had the opportunity to spend some time with Scott MacLeod and hear his story on how the Foundry came to be. It was awesome to see God’s hand weaving through the entire story, and to hear about the impact it has had on the neighborhood. We were able to experience some of this impact firsthand by serving at the Meal of Hope and meeting some of the residents of the neighborhood who have been blessed by this ministry. We were able to pray for some of them and heard some cool testimonies of God moving in their lives! On Friday night, we worshiped the Lord at Friday Night Fire and love on the community of the Foundry by prophesying over some of their staff and fellowship! It was a lot of fun for us to step out in faith on what we heard the Lord say about His children, and see new friends blessed by His love. Overall, this has been a week of learning to step out and be flexible in serving! Starting March 9th, we will be sending out 57 students to 5 different locations around the world to share God’s tangible love with communities and churches. Our students are going to share the love that they have experienced from the Father through teaching, ministry and serving. We are SO thrilled to see what God does over the next three weeks as our students are reflecting His character, love and excitement with everyone they meet! As our students are on their trips, be sure to check out this blog and our Instagram for more updates!